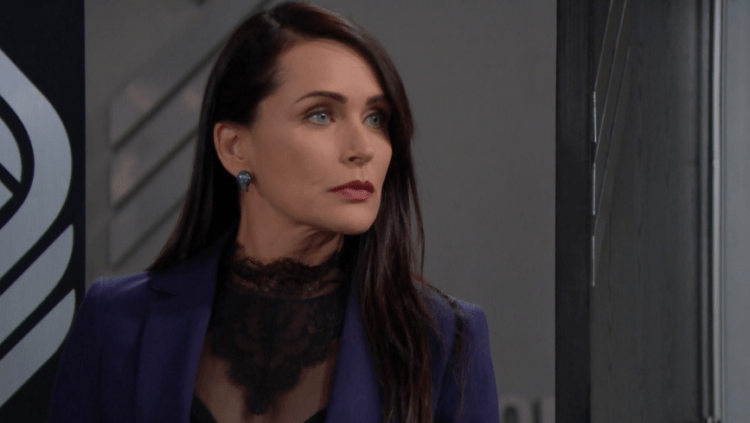 The Bold and the Beautiful fans are watching Flo’s world unfold. She’s getting what she’s always wanted on one hand, but she’s not getting anything she wanted on the other hand. She’s finally found out who her father is. She has a mother and a bunch of sisters, and she has a father – even if he is dead. But she has a family that is her own who wants to get to know her, and she’s excited about all of that. She has a lot happening in her life, and she’s excited about it. But, at the end of the day, she still stole a baby from Hope and pretended it was her baby and she sold it to Steffy. She’s a kidnapper and a liar and a cheat and a criminal, and she knows it. It’s eating away at her, and she’s not sure how to handle that in her life. But, for now, she has a lot on her plate. Bill, on the other hand, finally gets his ex. He knows now what it is that was going through Quinn’s head all the times she took their son and made his life miserable when he had a girlfriend or even a wife. He gets it now that she is always so involved – too involved, really – and that is the thing about her that always bothered him and their son. But he gets it. He might not agree with it, but he understands that she feels as if she is coming from a place that is protective and good for him, and he gets it. But, will he be able to talk her out of being in the middle of their son’s personal life and his love life. And that might be interesting. If this is not the best news of the week, nothing is! Congratulations to the happy couple and their newly growing family. Flo has to be on her daughter’s side, and she did what she asked. She played along when Hope mentioned the baby that Steffy adopted, even though she knew that something was off about it. She wasn’t happy to find out that her daughter was up to something that was clearly dishonest, but she kept her mouth shut, played along, and protected her daughter. And now Flo is going to be honest with her mother and tell her what she did. She will tell her every single thing she did, from the faking of the death of Hope’s baby to the stealing of the baby, to the adoption, to the money she took from Reese to do what he was asking of her, to all of it. And Shauna will be horrified her daughter got involved in something like this at all. But, she will protect her. It’s what moms do, right? She won’t stop herself from flipping out when she finds out, though. And what about Hope and Liam, who have to tell Steffy that the baby she just adopted is actually a Logan baby now that they found out that Flo is the daughter of Storm? 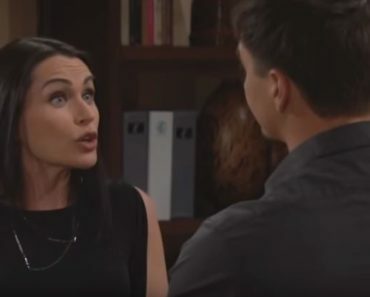 Will this work out at all, or will there be more anger and resentment on behalf of Steffy, who is not happy as it is that Hope is already so attached to her baby? She might not want to hear much of this, but we suspect that she will be better than we thought – but only for a moment until the truth comes out.